There’s no doubt about it, Apple is an amazing company when it comes to marketing its products. The two new Siri TV ads are a perfect example of how the company can show the human side of otherwise hard-to-understand technology. One of our favorite sites to read is Scoopertino, which makes fun of Apple with fake news in a very Onion-esque way. 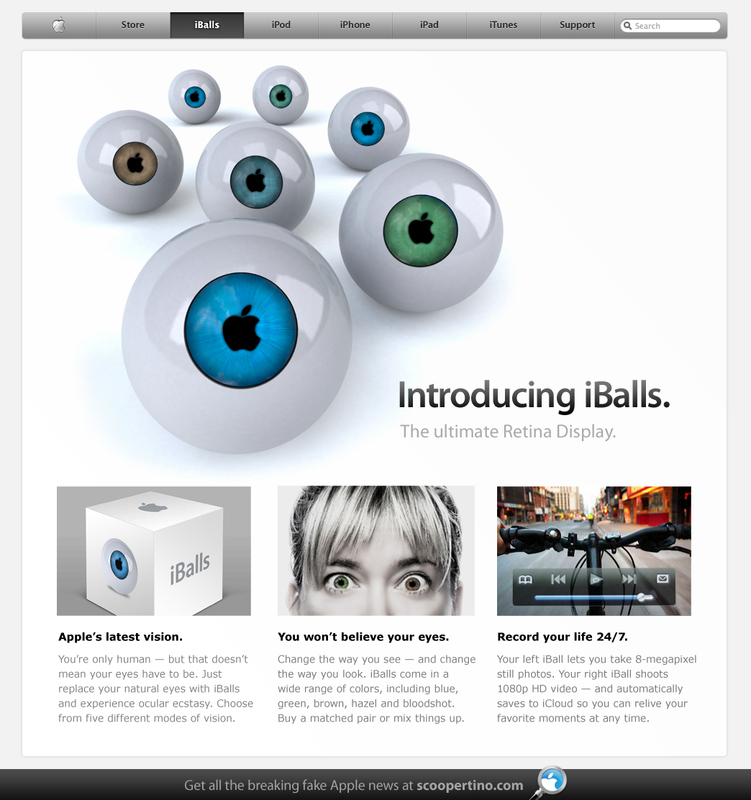 This week, with all of the talk about retina displays coming to new iPad 3, the satirical site had its own spin on the news by “announcing” the iBalls. Click here for full-size goodness. 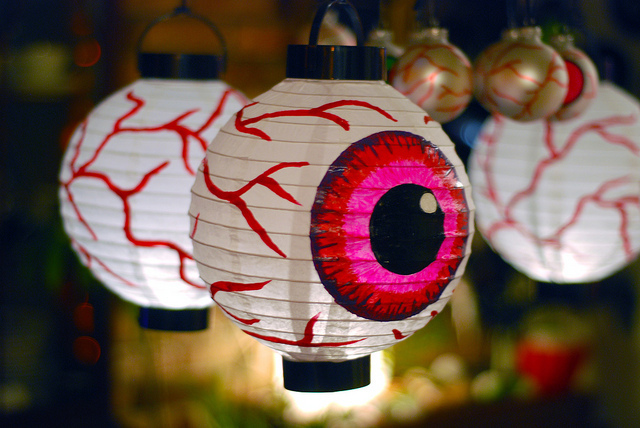 Those who default on their iBalls subscription will lose all functionality, including basic vision. However, in these cases, Apple will provide iBraille training at no additional cost. This leads me to a slightly serious question, even though this is a far-fetched humorous look at Apple technology, if something like this were available would you be interested? We’ve seen these types of things in movies like The Terminator and Mission: Impossible, but you have to believe that it will be a reality some day. And hey, if something like this ever does come to fruition, I’m sure Apple will be right there as a major player. Until then, I’ll stick to the eyes I have.